Starting a nightclub can be a lucrative venture for aspiring entrepreneurs. If your clients enjoy socializing, late nights, and dancing, this industry is the perfect fit for them. However, the success of a nightclub relies on more than just serving good drinks and playing great music. In fact, there is a science behind the success. 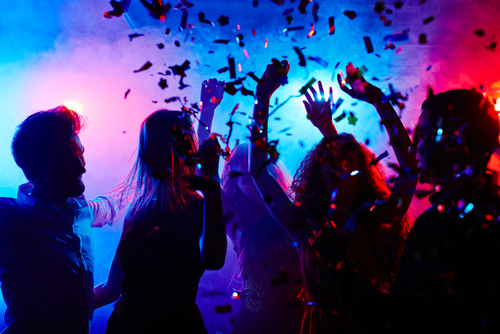 Therefore, in addition to equipping your clients with a customized Nightclub Insurance Package, share the following steps with them to ensure their success. Attract specific clientele by creating a club with a theme or a fresh concept. Bear in mind that the execution of the concept is what’s going to make or break your clients’ nightclub, so remind them to stick to the plan and not try to do too many things at once. Keep a fully-stocked bar with plenty to choose from. While some clubs only offer limited alcoholic beverages, this only limits the amount they can sell and in turn, limits their profits. Alcohol is a huge income-booster at clubs, so be sure to stock a large variety at all times. Even if your clients develop regular clientele, it’s important to always be proactive in the marketing approach. Consider advertising on the radio, on television, in the paper and online. Many bars also use cross promotional strategies and work with other businesses, says Small Business Chronicle. Treat the nightclub as a business, not a hobby. Ensure employees are well-trained, don’t over pour drinks, carry the right insurance protections, price the menu and drinks properly, and follow health codes. Specials, discounts, and promotions are great ways to get new customers in the door. Themed nights and celebrating holidays can give newcomers a reason to try out your clients’ nightclub. At RMS Hospitality Group, we offer specialty programs whether your client is in an upscale urban district or a higher-risk locale. We will work with your client to determine their risk exposures and write a policy that is matched with their needs. For more information on our products, contact us today at (888) 359-8390.